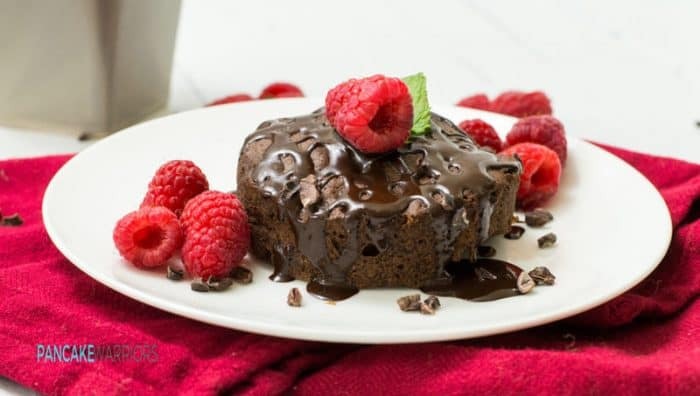 This chocolate peanut butter mug cake is going to be your new go to dessert. Ready in under 5 minutes, no added sugar, gluten free, grain free and super simple to make! Right now turning on the oven is just about out of the question. We are still in the thick of summer, but that doesn’t seem to quiet my chocolate cravings at all. 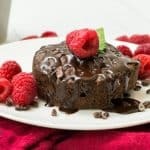 Some days I break down and turn on the oven, make these protein brownie bites or chocolate zucchini muffins, but usually a chocolate mug cake is my go-to dessert to calm my chocolate cravings without turning on the oven! One of my favorite combinations, chocolate peanut butter! I have a feeling you are going to love this chocolate peanut butter mug cake just as much as I do once you try it! 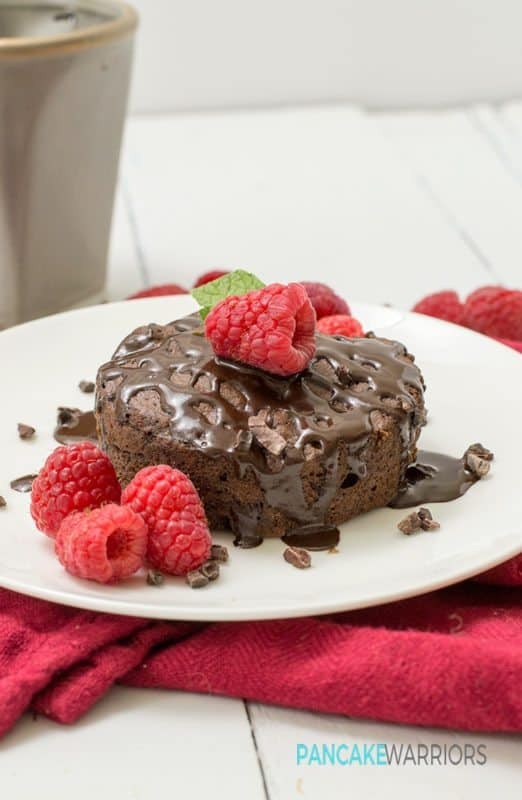 Have you ever made a mug cake before? They were so popular a few years ago, I have no idea why they lost their popularity. You get cake in less than 5 minutes. Either way I’m bringing them back, because hello chcoolate cake with drippy yummy frosting goodness. And it’s perfectly portioned, just one serving, so I don’t go too overboard on the sweets at night! Dave and I just moved to Austin,Texas from North Carolina! Jenny and I were practically neightbors in NC! But I moved to Austin to pursue my dreams of owning a gym. We are opening a Burn Boot Camp here in Austin in October! I cannot wait to start this journey and start meeting more people here in Austin. If you live nearby, leave a comment, I would love to connect! Part of my life as a personal trainer and nutrition coach is practicing what I preach, everyday. 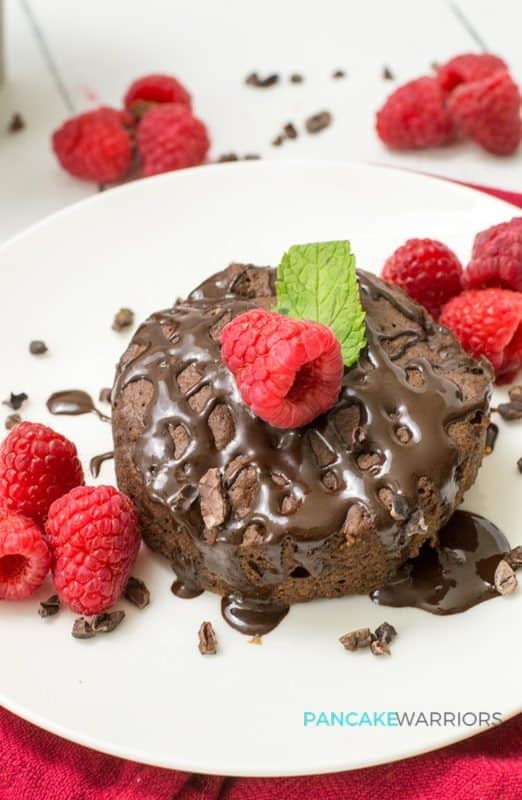 So even though this cake looks luxurious and over the top, its actually quite healthy, full of healthy fats, fiber, and naturally sweetened. Even the chcoolate drizzle is healthy! My goal is to help make healthy living and eating easier, more approachable and something you actually look forward to! I believe that life is about balance, and having healthy alternatives is the key to long term success! 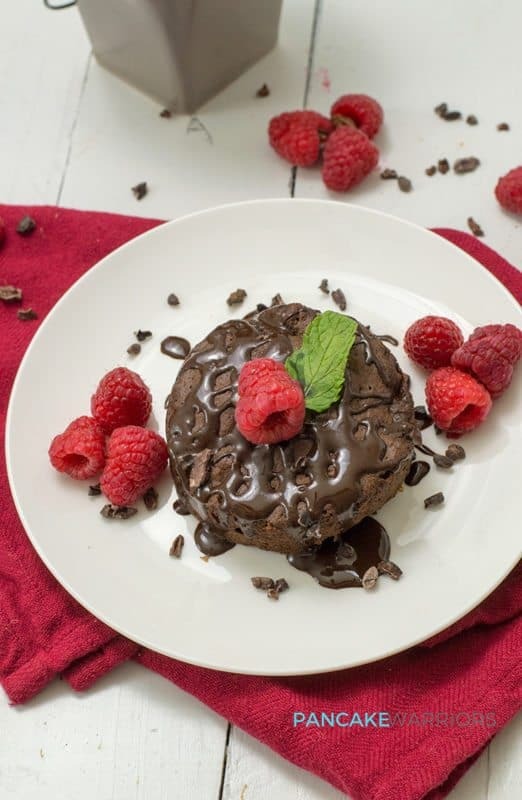 You are going to love this sugar free, grain free, gluten free chocolate peanut butter mug cake, ready in under 5 minutes! Mash banana in a bowl. Add the peanut butter and egg white. Stir well to combine. Add the cocoa pwoder, coconut flour, almont meal and vanilla extract. Stir well to combine. Add baking powder, and stir well. Microwave for 1 1/2 minutes. Let cool slightly before serving. Have you ever made a mug cake before? Do you know anyone in Austin, have you ever visited?